Dr. Annabel Cohen received her undergraduate training at McGill University where she first became interested in music perception from an experimental psychological perspective. As an undergraduate, she worked at Queen's University in the Psychology Department in the summer conducting research on memory for musical tones with Dr. Lola Cuddy. She continued at Queen's for her M.A. and Ph. D. degrees in the psychology of music (studying the effects of tonality on the ability to recognize melodies that are transposed). She has held teaching and/or research positions at the University of Waterloo, University of Toronto, Dalhousie University and Acadia University, and is currently Professor of Psychology at the University of Prince Edward Island, where she has been on Faculty since 1993. She is also an Adjunct Professor at Dalhousie University in the Faculty of Graduate Studies. Her program of research on acquisition of music grammar has received grants from the Natural Sciences and Engineering Research Council (NSERC). Her program of research on the effects of music in film has received support from the Social Sciences and Humanities Research Council (SSHRC) since 1987. Between March 2003-2004, she served as Project Leader for Arts-Netlantic, supported by Canadian Heritage, and has served since 2001 as the Project Leader for the Canada Foundation for Innovation (CFI) project entitled Institute of Interdisciplinary Research in Culture, Multimedia, Technology and Cognition (CMTC) She has also initiated, directs, and is the Principal Investigator for a major international research collaboration focusing in singing - Advancing Interdisciplinary Research in Singing (AIRS) funded by the SSHRC Major Collaborative Research Initiatives program. She has published over 100 articles, book chapters, and conference proceedings papers. 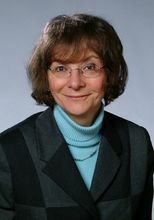 She is the recent editor of Psychomusicology: Music, Mind & Brain, and serves as an associate or consulting editor for the journals: Canadian Acoustics, Musicae Scientiae, Psychology of the Arts, Creativity and Aesthetics, Psychology of Music, Music Perception, Music and the Moving Image, and The Soundtrack. She also serves on the Advisory Board of the new international journal SoundEffects - An interdisciplinary journal of sound and sound experience. She has given invited presentations in Japan, Korea, Holland, Denmark, Belgium, Estonia, Germany, Sweden, the UK and America. She has served on grant review panels for SSHRC and CFI, is a Fellow of the Canadian Psychological Association, and is member of Council for the American Psychological Association. She holds an ARCT (Associate of the Royal Conservatory of Music) in Voice Performance. She has enjoyed supervising many Honours students at the University of Prince Edward Island and has welcomed to her laboratory many Honours students, research assistants, and postdoctoral research fellows over the years.